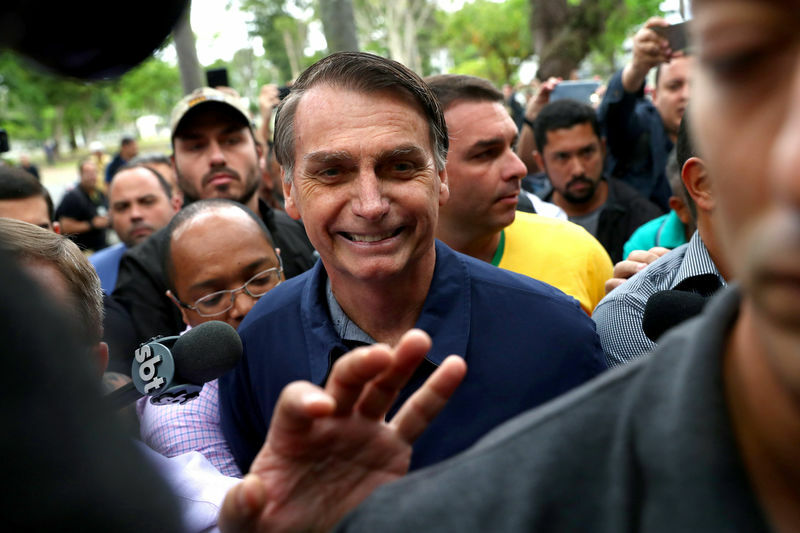 LONDON (Reuters) – Brazilian exchange-traded funds (ETFs) listed in Europe surged on Monday after Jair Bolsonaro emerged victorious in Brazil’s presidential election on Sunday. Shares in the Germany-Listed ishares MSCI Brazil ETF rose 6.4 percent while the London-Listed iShares MSCI Brazil ETF (L:) leapt 6.8 percent after Bolsonaro’s election win. Shares in Blackrock (NYSE:)’s Latin American Investment Trust (L:) also rose 6.9 percent. Far-right candidate Bolsonaro has promised to clean up politics, shrink the state and crack down on crime, and markets hope he will embark on a series of structural reforms to boost Latin America’s largest economy after nearly a decade and a half of leftist rule.